This action packed book covers the history of Britain from the time of the Romans to the London Blitz. 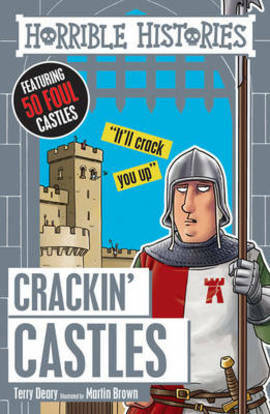 Filled with adventure, danger, magic, sieges, treachery, spies, revenge and much more besides - all in the classic Horrible Histories style! Includes Threave Castle, Roxburgh astle, Stirling Castle, Edinburgh Castle, Urquhart Castle, and numerous in England and Wales.